While the car itself usually gets a thorough spring cleaning, the sad and lonely single socks get thrown out, and the garage becomes organized again, people often forget about their credit score. Now that spring is in the air and getting out on the open road is a little more fun than in the winter, I’m here to share how you can spring clean your credit score with a used car loan from Western Used. There are many variables that make up your credit score, but the simplest and most important one is repayment. If you’ve ever missed multiple payments, been late, or neglected to repay any type of loan or service fee (such as your water bill or electricity), this may have marked your credit score. Here at Western Used, I see people with all different types of credit scores, and I’m here to tell you that it’s totally okay to have bad credit or no credit. I can help you get your credit score moving in the right direction! How Does a Used Car Help Clean my Credit Score? A used car loan makes a great place to start, as they’re generally cheaper than a full-price new vehicle. The smaller the amount of the loan, the easier it is to get approved. Car loans are also secured by the vehicle itself, unlike traditional loans. This provides lenders and financial institutions with peace of mind. In addition to the ease and security of vehicle loans for the lender, there is also comfort to be had for the borrower. Because a vehicle that is financed isn’t revolving credit (such as a credit card, where you borrow and repay on a monthly basis), the amount you will owe each month will be the same. There is no potential to borrow additional money and find yourself with more debt than you’d expected. This will help to prevent late payments. On the flip side, whatever the payments are, repaying them demonstrates trustworthiness and the ability to repay a loan. When your payments are late, this is reported to the credit bureau. Keep these notices off your account while holding a loan, and your credit will improve. If you already have a credit card, a car loan also shows diversity in the types of debt that you have, which is a positive. While you’re in the market for a used car, use this time to rebuild your credit score for the future. 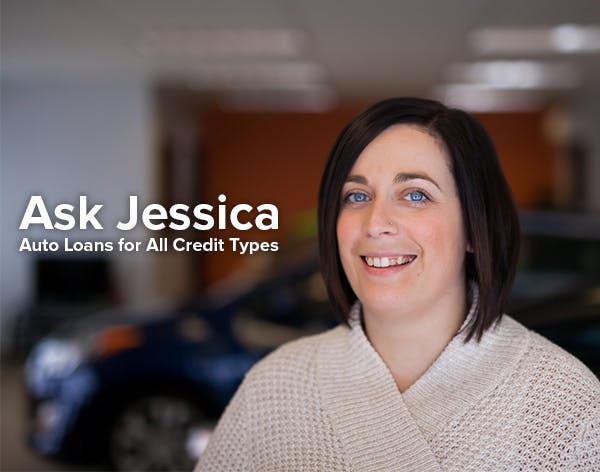 I’d be happy to help you apply for financing today, provide credit advice and tips, or answer any questions that you may have.